East Coast Lagoon Food Village is situated right next to the beach within the beautiful surroundings of East Coast Park. Although it is a man-made beach with sand imported from Indonesia you still get that relaxed beach-y vibe with various spots to sit in the sun or shade and various water sports available. It is such a relaxing area and perfect for getting away from the busy city centre. If you are visiting on holiday and would like some beach time, I would probably go for Sentosa island for that 'beach holiday' experience, but for a simple beach, park and delicious food I would definitely recommend spending an afternoon at East Coast Lagoon Food Village. If it is raining I would probably do something else as the whole area is open to the elements. 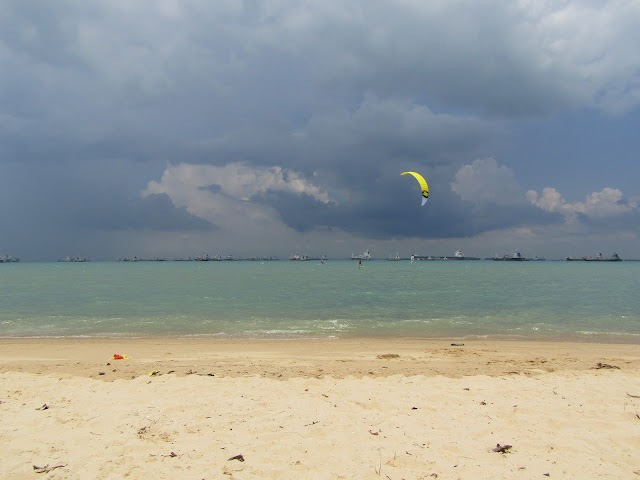 For ideas check my post things to do in Singapore when it's raining. 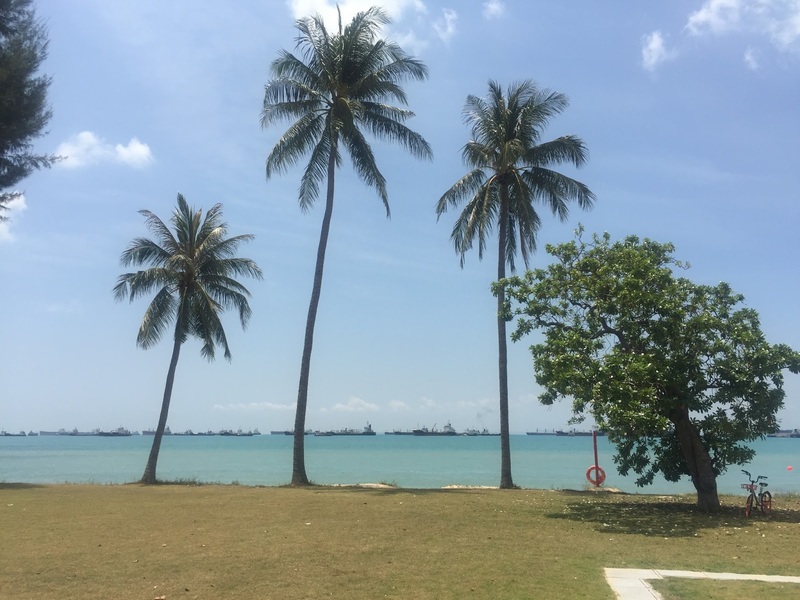 Before you get to the beach there's an expansive park where you will regularly see families gathering for picnics in the shade. There is a lovely family friendly feeling here. 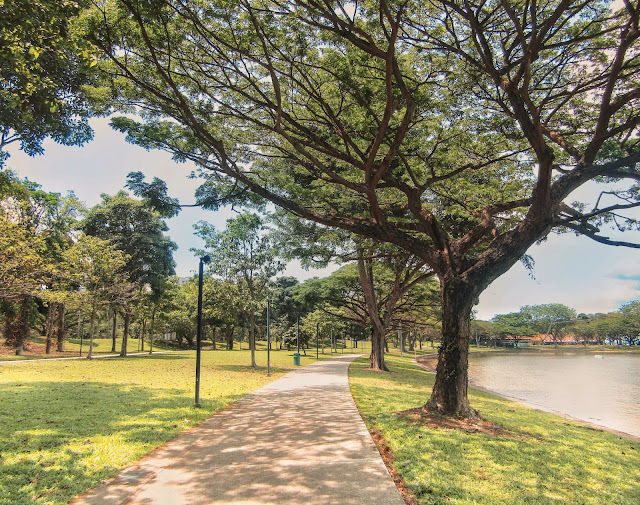 Many come here for bike rides and running as the breeze makes it a little more bearable than the rest of Singapore! Now onto the important bit - which stalls to choose from the huge number available at East Coast Lagoon Food Village? This list has been put together over a number of visits, with a mix of trial and error and reading reviews. It is by no means exhaustive! 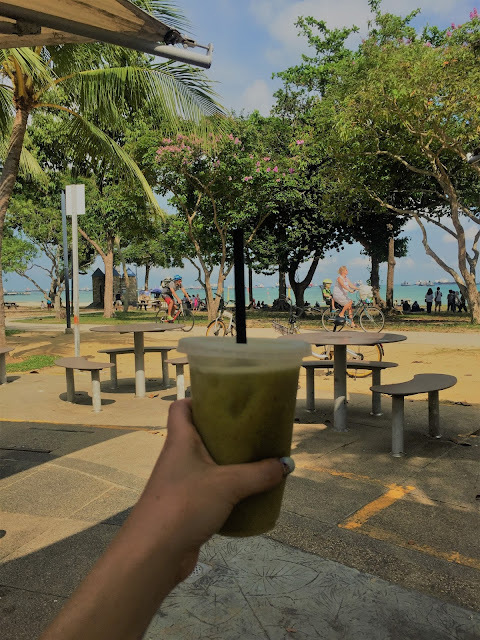 As a general point, one of my favourite aspects of travelling and expat life is new discoveries so I would also recommend trying anything that catches your eye. It is a safe, good quality, family-friendly food court so a good place to try new things. This is usually our first starter, from stall number 14. 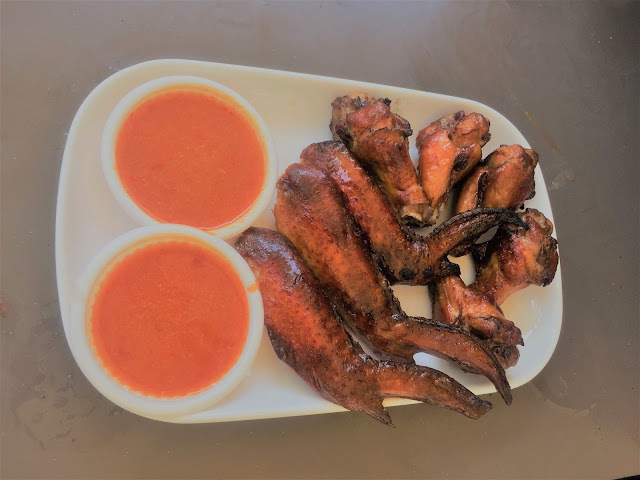 The skin on the wings is so crispy and you get a really generous portion for S$6.50 (there are two wings missing below as we'd already eaten them - never going to be a food blogger!). The sauce served with the wings is a really spicy chilli so I would suggest trying it before pouring too much on your wings. 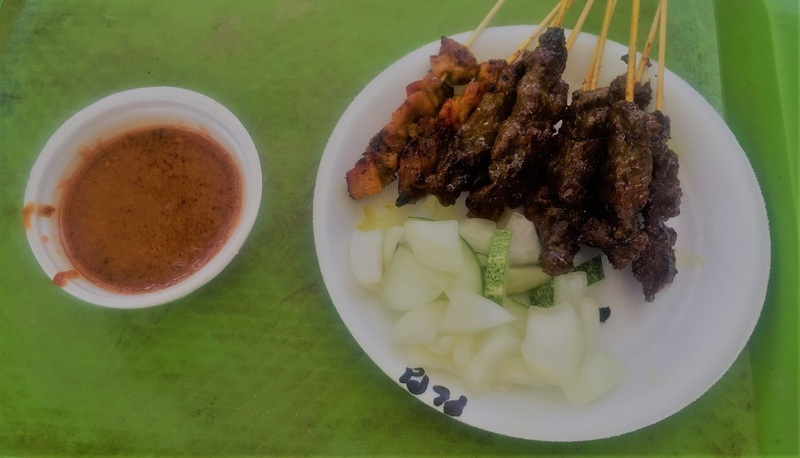 Stall number 55 serves the most delicious satay - I'd say the best in East Coast Lagoon Food Village if not all of Singapore (bold claim I know!). With a minimum order of 10 sticks we usually get four chicken, four beef and two mutton between two of us - the meat is all of a good quality. The satay sauce is so delicious, nutty and tangy at the same time. It's S$0.70 per stick so the minimum order comes in at just S$7 (just under £4 at time of writing). The satay is freshly grilled on a BBQ and you will be given a beeper so you can relax at your table until it is ready. This is one of the nicest dishes I have ever tried at East Coast Lagoon Food Village. 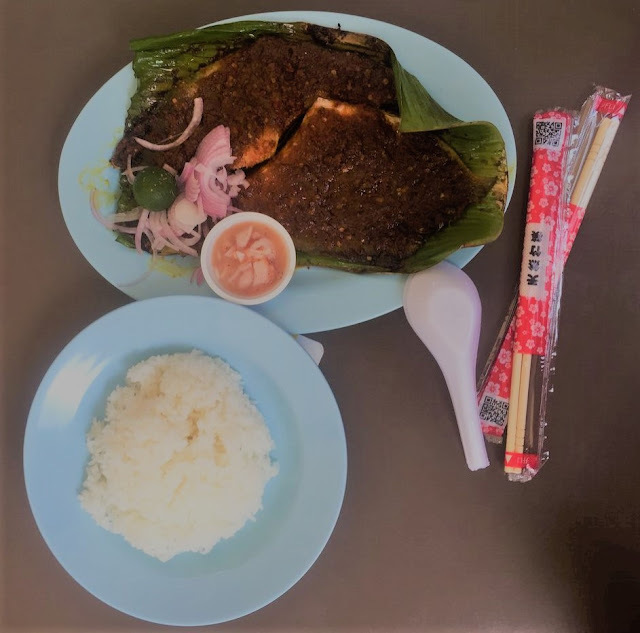 It is stingray fin grilled over charcoal in a banana leaf and topped with sambal (a spicy paste usually made with ground walnuts, spices, shallots, garlic, sugar and sometimes peanuts). We picked ours up from stall 3, along with the chilli crab (below). With a side of rice and so many other dishes to try you only really need one of these options for a main for two people. If you enjoy seafood I'd highly recommend trying some here as it is what the Food Village is probably most famous for. 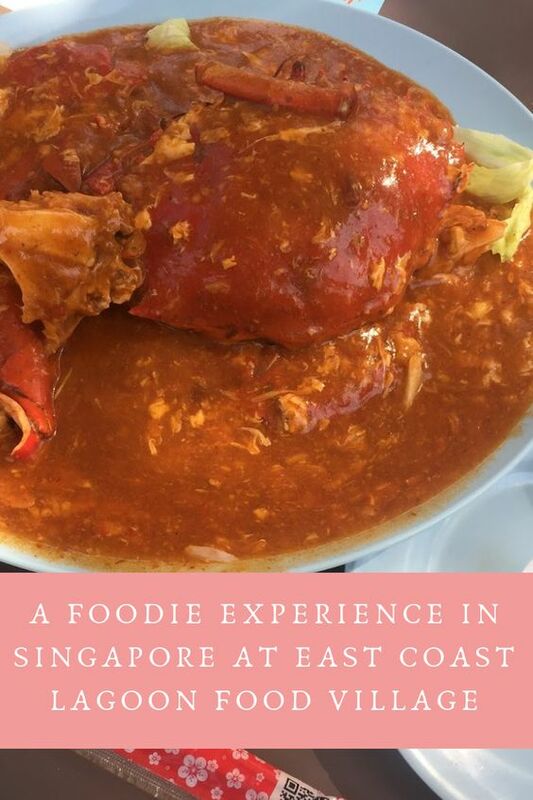 Any food blog, tour guide or local will tell you that chilli crab is a must-try dish whilst in Singapore. Just a word of warning, you'll be asked to select your own (live) crab before it is cooked for you so it is definitely fresh, albeit slightly daunting! This has to be one of the most delicious but messy dishes I have ever had the pleasure of trying. It is really spicy so if that isn't for you then you may want to try the black pepper version instead. You can ask for a crab cracker tool to help you if it hasn't already been provided for you. Chopsticks won't cut it (literally)! 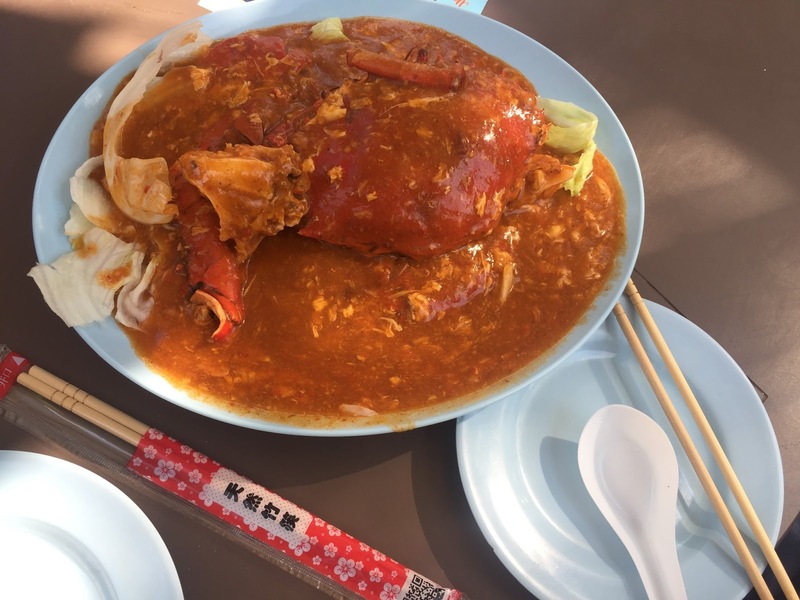 Our crab cost S$39 but the price varies depending on the time of year and size. We were asked if we wanted to add some bread on the side to mop up the sauce. I would recommend doing this as the small bread buns are beautifully spongy and sweet. Don't miss this dish, you won't be disappointed! I didn't want to skip some other food we tried and didn't like as everyone has their own taste and these are some highly rated options at the food court (you can tell by the huge queues!) 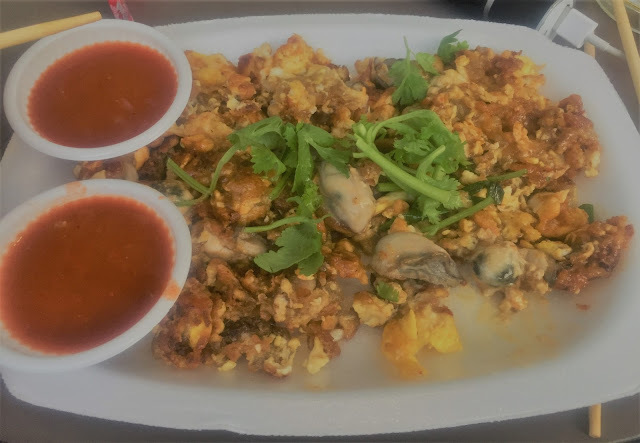 Oyster omelettes are hugely popular here but the oysters are raw on top of the omelette which wasn't to our tastes. We also tried cereal prawns which left us feeling unsure... the prawns are in their shell and served under a bed of cereal mixed with seasoning and egg pieces. The cereal is very tasty but the prawns (so we were told by local friends) are to be eaten with the shell on to get the cereal flavours... we didn't really like this. The cereal itself was very nice. There are so many fruit juice options at East Coast Lagoon Food Village it is hard to get through them all. Highlights for me were the freshly squeezed sugar cane juice, kiwi juice and watermelon juice. They are all so refreshing to wash down the spicy selection of food above. Fresh coconuts are also available, both the usual and Thai 'young coconut' variety. AS a side note, I am probably easily pleased but I found it so sweet watching squirrels scurrying up trees here to eat coconut! Yes the Singaporean squirrels eat coconut, makes sense I guess. You can get all the usual soft drinks and not forgetting Tiger beer... you can pick up a large bottle for S$7 which isn't too bad compared to bars in central Singapore. This is a popular spot for people to gather on a Saturday evening for drinks so the atmosphere is really lively and fun on a weekend. 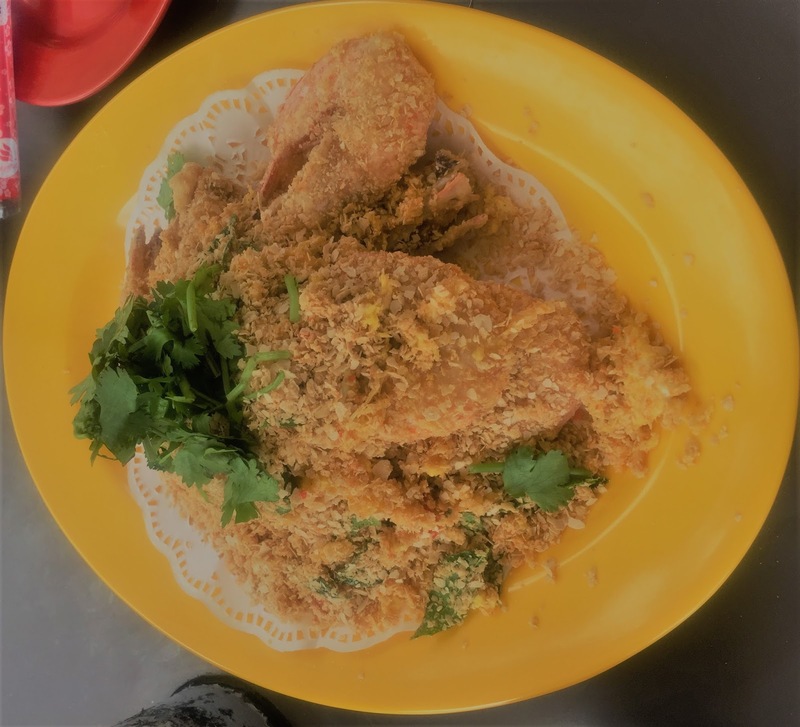 We loved being surrounded by a mix of families enjoying huge orders of all kinds of food to share, as well as fellow expat couples and solo travellers. Everyone is well-behaved and respectful which makes it the perfect place to unwind with a few beers, and also inexpensive for those on a budget!